The land will also support a working farm. 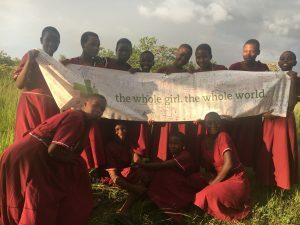 On 1,000 acres in a remote village in northern Tanzania, where life is hard, and poverty is generational, a transformative project is underway: Education and life skills for girls & the integration of community health, clean water, solar electrification, agriculture and more – this is the KITENGA VILLAGE PROJECT. 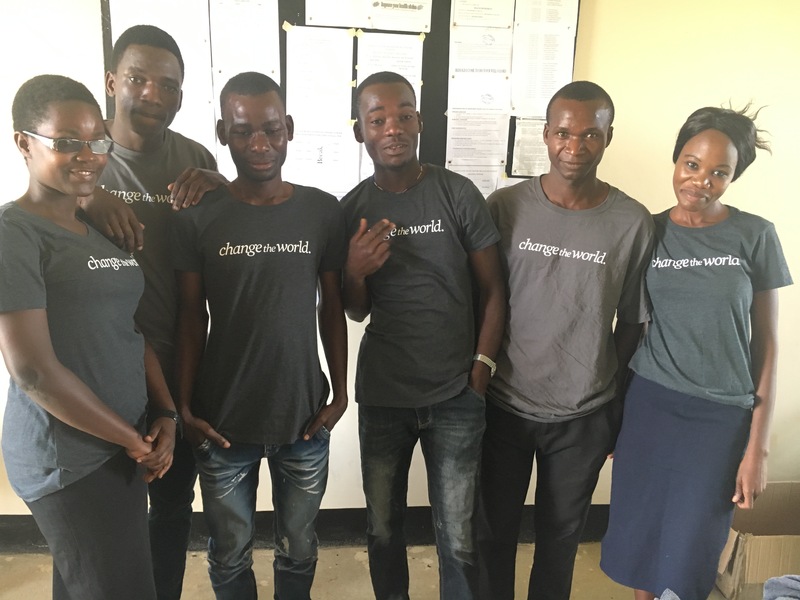 In a far northwest corner of Tanzania, in the village of Kitenga, change is taking place. 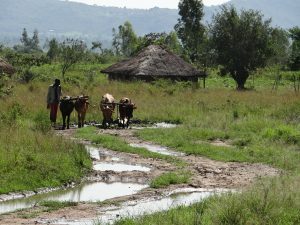 Dirt roads and pathways, distant markets, no running water or electricity; limited schools and healthcare; a land deforested from cutting wood for cooking; unconscionably high rates of disease, malnutrition and mortality and destructive cultural practices – this is life’s fabric for the 7,500 villagers of Kitenga. It is a hard life, especially so for girls and women, as FGM and early marriage are continuing traditional practices. It is also a place of hope and energy, with great potential in human capacity. 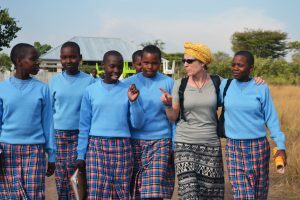 The Immaculate Heart Sisters of Africa have a bold plan to bring opportunity and resources to this remote community – to transform the landscape from one of generational poverty to one of opportunity—by means of empowering women. 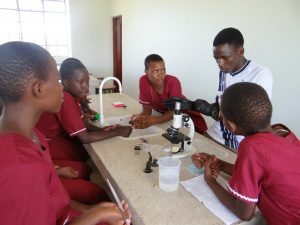 Thanks to this community of remarkable Tanzanian nuns, members of this community have within their reach: healthcare, a kindergarten program, vocational training and transportation access to a main road. At the heart of the project though, and just recently opened, is an extraordinary school for girls…. 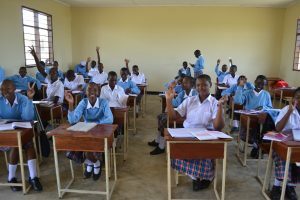 After many years of planning and trying, the Kitenga Secondary School for Girls opened for fifty-nine girls in January 2017! In a region where girls are habitually sold into marriage, traded for livestock and subjected to female ‘circumcision’, the girls attending the Kitenga School for Girls are, conversely, blossoming, learning and growing by the minute – their dreams are big and they are bold! To keep pace with these dreams, the school is already poised to grow – so that many more girls can access and succeed at this revolutionary school. 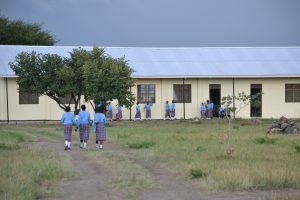 The Government of Tanzania authorized the development of a comprehensive regional boarding school for girls to be built in Kitenga Village under the leadership and management of the Immaculate Heart Sisters of Africa (IHSA). On 1,000 acres of government-awarded land, the school, when fully developed, will enroll up to 1,500 girls in grades pre-K through secondary. Taking a holistic approach in order to address a girl’s interconnected needs, the school will provide, within a safe and nurturing community, health and life skills education, workforce training, leadership development and other elements that are vital to unlocking each girl’s potential. In other words – the whole girl, the whole world. The school is starting with the secondary level, as these are the girls most at risk for Female Genital Mutilation (FGM) and early marriage. 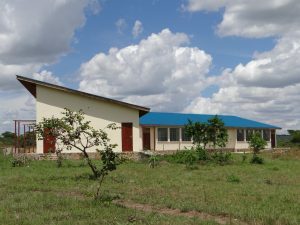 After years of anticipation and effort, Phase One infrastructure was completed in 2016 and the Kitenga School for Girls was launched in January 2017. The school is in its second year and off to a strong start. Projections are to expand the infrastructure and grow the secondary school to full capacity (480) within the next five years. In 2012, when GEC joined hands with the IHSA on their bold quest to educate marginalized girls, their vision held the potential of being transformational for this community and region. Yet the implementation—in an area with no roads, running water or electricity—was complex and costly. With support of earlier partners, they had made progress (one classroom block was finished and the dormitory foundation laid) but still ahead of them were seemingly insurmountable challenges. GEC listened to their new partners and listened to the community. Strategic priorities were determined. GEC got to work. Two critical pieces of infrastructure had to be built in order for the school to receive government registration and be properly prepared to deliver a high quality and relevant education to girls – the library and science center. GEC: raised the necessary funding; had the buildings designed to be green and sustainable; hired the builder; oversaw construction; and ensured accountability and transparency. 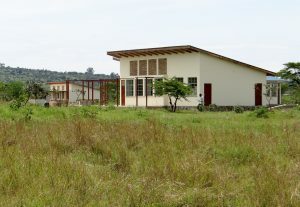 Twenty four months longer to build than anticipated (mostly due to el Nino rains), but on budget, and beautifully built, The Alice Kryzan Memorial Library and Science Center are now welcoming their first students. GEC also helped finish the dormitory by contributing a significant financial contribution and being a thought partner as needed. Read below to learn more about the additional contributions GEC has made to help this initiative reach its ultimate goal—to become a model school of excellence and innovation where girls emerge with the knowledge and skills they need to to pursue their futures. Anne and the students enjoy getting to know each other! While GEC has been ‘building’ a lot of infrastructure over the past few years, we are not a ‘school-building’ organization. 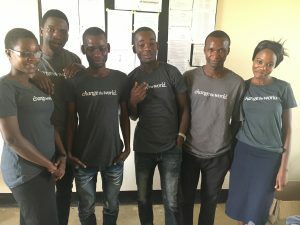 We are an organization committed to listening to locally-identified priorities around educating and empowering girls and then, thru the use of ‘responsive project design’, and deep partnership, strategically identify how we can best help bring to fruition local visions. Now that the school has opened and is growing, GEC also works closely with the school to identify and prioritize needs and to help ensure those needs are met, be it through funding, or connecting, or leveraging a partnership – whatever is needed to help this school meet its potential in an efficient and enduring way. Examples include: providing laptops so the technology program could start; improving student nutrition by supplementing meals with more fruits and vegetables, funding wood efficient cookers to decrease environmental and health hazards, purchasing a four-wheel drive vehicle to ensure access and egress from the campus, leading the school stakeholders in the development of a Measurement and Evaluation Plan…..and more. GEC is also working with the school on short and long-term planning, budgeting, programming and developing metrics for measuring impact. 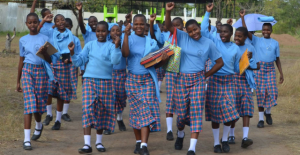 We also underwrite the school fees for girls who would otherwise not be able to attend the school (orphans, limited family income and/or girls who have left their family to avoid FGM and/or early marriage). Alice Kryzan, an environmental attorney, community leader, mom and congressional candidate, passed away in June 2012 from cancer. As a tribute to her life’s work and passions: the environment, reading, travel and women’s empowerment, the school library was built in her memory – a special space for girls to grow, dream and succeed. Through the generous support of Alice’s family, friends, and colleagues, funds were raised through GEC to build Kitenga’s first environmentally sound building thru design, materials use, water capture and solar electrification. 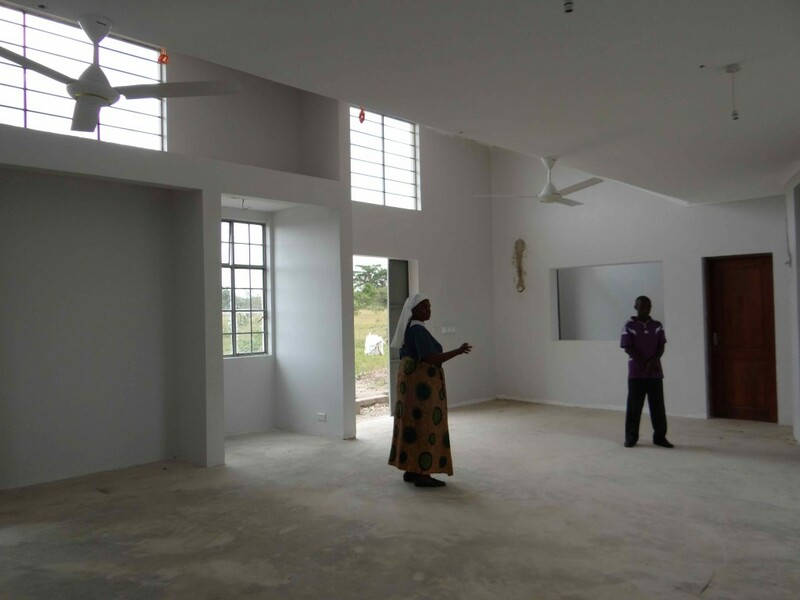 As with all the projects below, GEC not only funded the Library, but also hired the builder and was the project manager. The solar panels were generously donated by the Solar Liberty Foundation. Using a similar architectural approach to the Alice Kryzan Library, the three-lab building is designed in a way to best support students, teachers and the study of science. The biology, chemistry and physics labs will be supplemented by an outdoor ‘flex’ space for student and teacher use. GEC successfully raised the funds to design, construct and oversee the building of the Science Center. We are incredibly grateful to all who boldly gave to this initiative to bring opportunity to girls’ lives. Thank you! The new students are passionate about the sciences and these new labs will help their dreams take flight. The lack of a road into the 1,000 acre campus was very problematic during the construction phase of the facilities. Lorries got stuck, materials couldn’t be delivered, workers were waylaid. 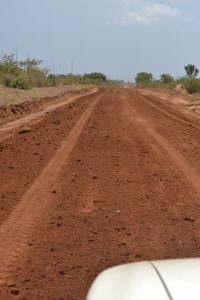 The heavy and prolonged el Nino rains made it clear that a dependable road was needed to not only ensure the delivery of supplies (and people!) once the school was opened, but to ensure access and egress for safety and security. Demonstrative of the GEC model, we listened to our partners, listened to the community and collectively realized that putting in the road was no longer something that needed to be done in the future, it needed to be done now. Previous to the road, dirt pathways, which were often impassable, were the only way to access the school. Working with community leaders and stakeholders, the Sisters led a process to determine the best route into the school campus. Property owners along the road gave access to their land. Plans were drawn up to build a 4.5km raised morrum access road. About half-way along the route is a small river that is sleepy during the dry season but impassable during the rains. A bridge was needed too. 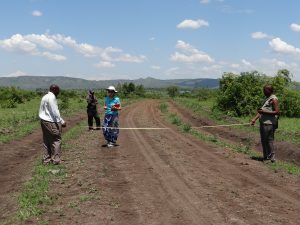 With the amazing support of the ‘GEC Community’, GEC was able to fund and build the new road. It is already an incredible asset and one wonders how everyone managed without it! In addition, this road has created transportation access to a main road – opening up markets, transport of crops, access to health care and more, for the community at large. The new road also creates improved access to services – education, healthcare, markets and more for the surrounding community. For hands-on ‘project management’, GEC visits Kitenga often, ensuring both quality and the appropriate allocations of resources. GEC’s Exec Director has been to Kitenga almost 20 times for stays of 2-4 weeks each visit. 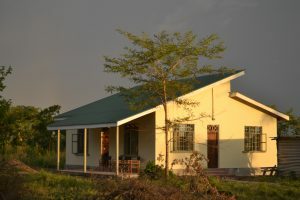 Part ‘of the dream’ was to some day build a guest residence as part of the Kitenga campus—a place where visitors, trainers, researchers, volunteers and parents could stay—and no longer have to drive more than an hour away to the nearest accommodation. A place for visitors would be ‘more than a guest house’ – it would allow for greater collective participation in the Kitenga Village Project, it would build community. Not only is staying far away expensive and time consuming, but it also sets up a dynamic of the ‘visitor’ driving in each morning and departing each evening – inhibiting the true potential of the sharing and learning that takes place within a community setting. Thanks to the dedicated friends and family of the late Betsy Greene, building this envisioned guest house became reality in 2017 – and it has already become a favorite spot in Kitenga! The new guest house – BETSY’S HOUSE. Karibu! Over the past five years, GEC has grown an incredible community of support, collectively working towards making the world a better place, one girl at a time. Over 1,000 financial contributors and many dedicated volunteers, mentors and thought partners, have each played an essential role in helping GEC manifest its capacity and determination to bring resources and expertise to locally-led (but resourced-starved) initiatives to empower girls and strengthen the fabric of their communities. Because of this collective effort and commitment, there is now a girl with her hand in the air and books in front of them, instead of a baby on her back or an older man waiting at home for his wife. Some day, these girls will become mothers and leaders and income earners – and perhaps anything they want to be. There’s nothing a girl can’t do.